The One World Observatory gives visitors a view over Manhattan that was not possible for the last 14 years. 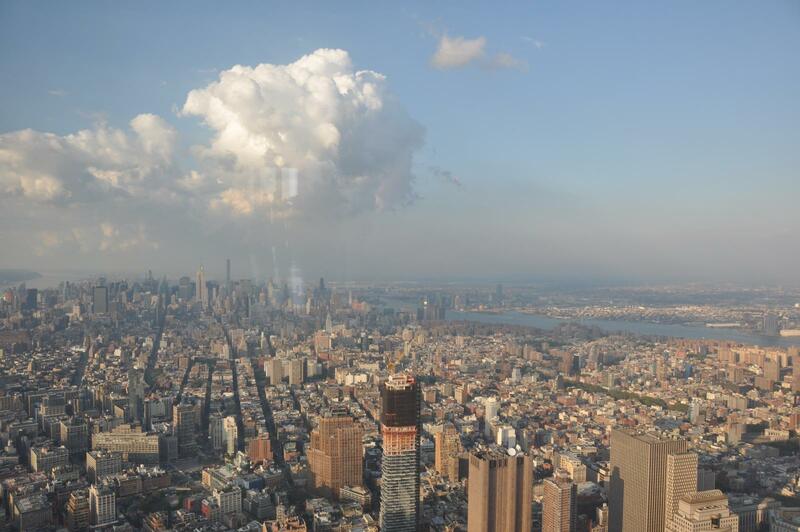 As the tallest building in the Western hemisphere, the One World Observatory towers over the rest of the city, giving visitors spectacular views from its observation deck. The One World Trade Center (also known as the Freedom Tower), was built on the northwest corner of the World Trade Center site, on the site of 6 WTC which was destroyed in the September 11 attacks. 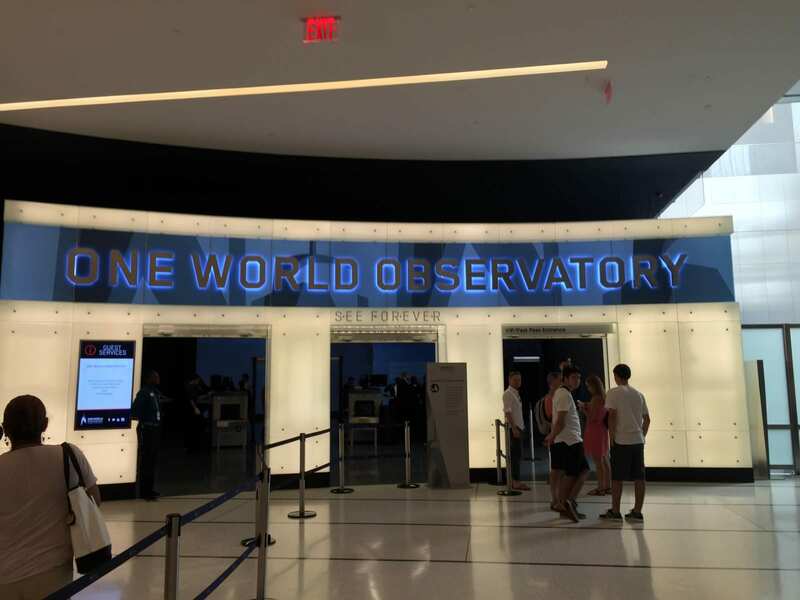 Visiting the OWTC today is a very special experience, not only does the Memorial outside serve as a humbling reminder of the buildings origins, the observation platform named the One World Observatory arguably provides the best views over the city. 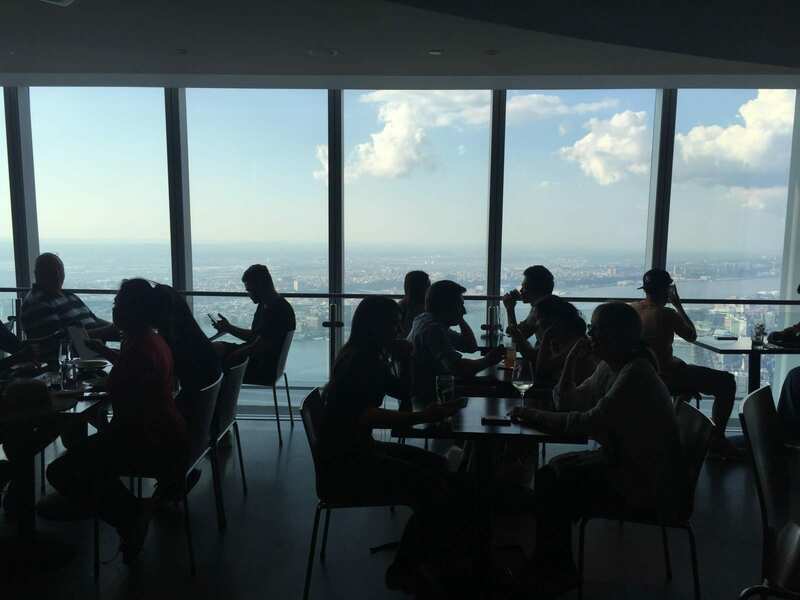 On our many visits here we have never been disappointed and can truly say that this observation deck has earned its spot as one of the most special places in the city. On our last visit we bought a Priority Ticket with a fixed entry time and had a print out of this e-ticket with us. Due to this when we arrived at the One World Observatory we were able to join the separate queue for priority tickets. Our wait time was less than 2 minutes – the waiting line for those with standard tickets was just as short by the way. According to the staff however, this was due to the time of my visit. We were informed that it was often this empty at 9:00 am on a weekday. I would therefore strongly suggest purchasing a priority ticket, especially if you are planning to go on a weekend. One important thing to note is that you really have to be lucky in case the weather doesn’t play along. We had opted for a regular fixed time ticket, meaning that even if the building had been shrouded in clouds we would not have been able to change our entry time. If you are booking your tickets some time in advance, I would recommend a flexible ticket just in case. This way you can delay your visit if something gets in the way or the weather isn’t ideal. 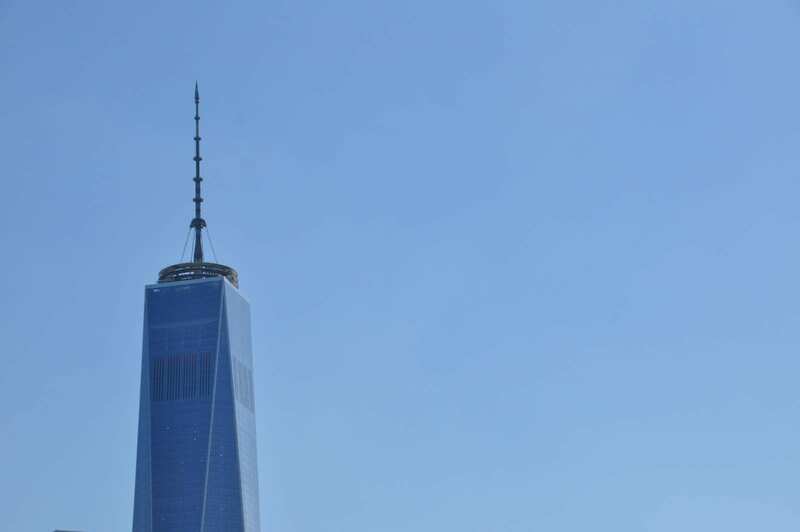 Here is the link to tickets for One World Observatory. Shortly after being admitted to the building escalators took us up to the security checkpoint, which was similar to what you would expect at an airport. We spent another 5 minutes waiting here, however, due to free wifi in the building we all passed the time surfing the web on our phones. The welcome at the Global Welcome Center was very unique. After having your ticket scanned, you are greeted in your native language. Your country of origin lights up on a huge globe, and also an image of the special connection between the United States and your home country. For example, German visitors were greeted with a a picture of the Steuben Parade (the festival for German-Americans) and visitors from France with an image of the Statue of Liberty. The live counter of how many visitors had been admitted to the OWTC was also a nice touch. The video montage was great and really gave us the feeling of the OWTC being a new beginning. There was no emphasis on the attacks of September 11th which we thought was very positive as the Memorial and Museum do an amazing job of this already It was interesting to learn about the feat of engeneering of the building itself and the process of building such a colossal skyscraper in the modern day and age. We had heard a lot of stories about the elevator inside the One World Trade Center and how it has been made into a very special experience. While I am not the greatest fan of elevators in general, I had to find a way to the 102nd floor and I surely wouldn’t want to climb the stairs. 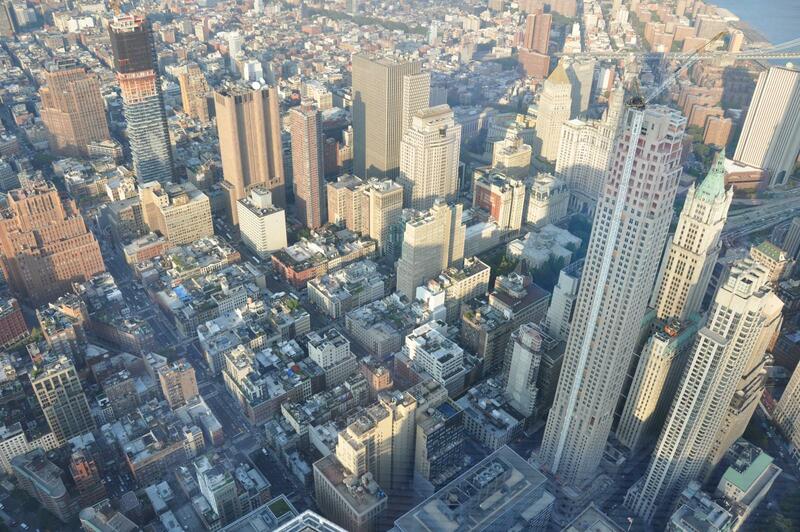 The elevator to One World Observatory goes up 1250 feet in 47 seconds – that’s the equivalent of 23 mph an hour! What was really impressive were the time lapse videos and the virtual view on the walls of the elevator. I don’t want to reveal too much however as this is one of the highlights of the building (not including the view of course). 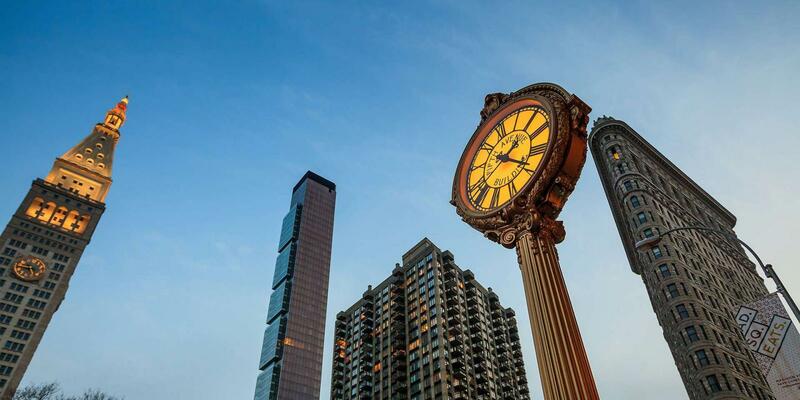 The elevator takes you through 500 years of Manhattan’s history, with only a brief appearance of the OWTC towards the end. If really can’t wait to see what it’s like you can find a video here. When you step out of the elevator onto the 102nd floor, you will enter into a small cinema called the See Forever Theater. You will get to watch a short 3D film about New York that particularly highlights the city’s diversity here. With breathtaking view of Manhattan, images of New York’s most famous landmarks and its skyline, combined with great music and sounds that you only hear in New York, this film forth a flood of emotions in us that made us realize again why we love New York. Did I get goosebumps again every time? You bet I did! After the film, visitors have the opportunity to rent a One World Explorer iPad. You simply point the device in any given direction, and it will show you the landmarks and other sights in that view. The iPad is a great addition to the experience if you want to learn a bit more about what you are seeing. 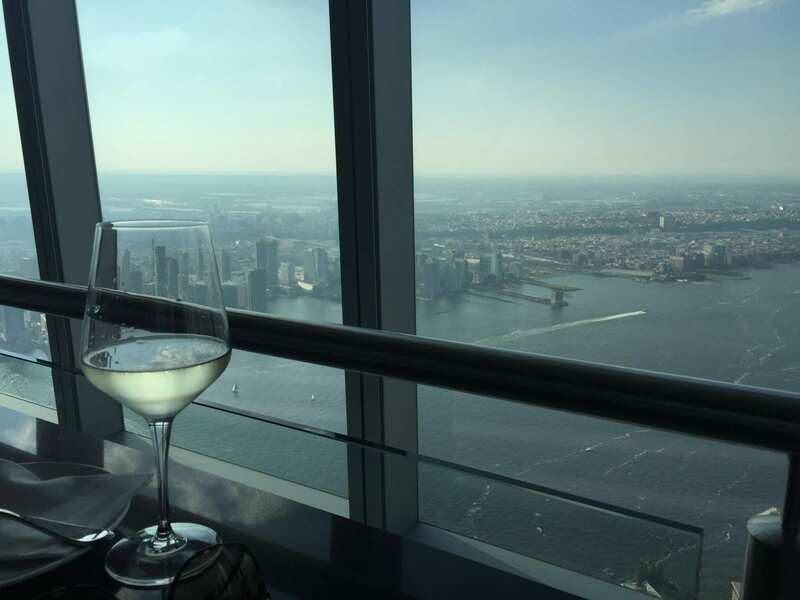 If you want to be able to say that you had a great steak at One World Trade Center while enjoying the best views of the city, then you can do exactly that at ONE Restaurant on the 101st floor. Prices match the high of the building though! For that view however, we didn’t mind paying a few dollars more. Small snacks are also available with the selection including something for everyone. The One Restaurant serves everything from fresh salads and bagels, to sandwiches and sweets. You definitely won’t mind spending some time here. You can then take the escalator to the 100th floor. This is where things get really interesting. This was the moment my jaw dropped – we were standing high in the sky above Manhattan. 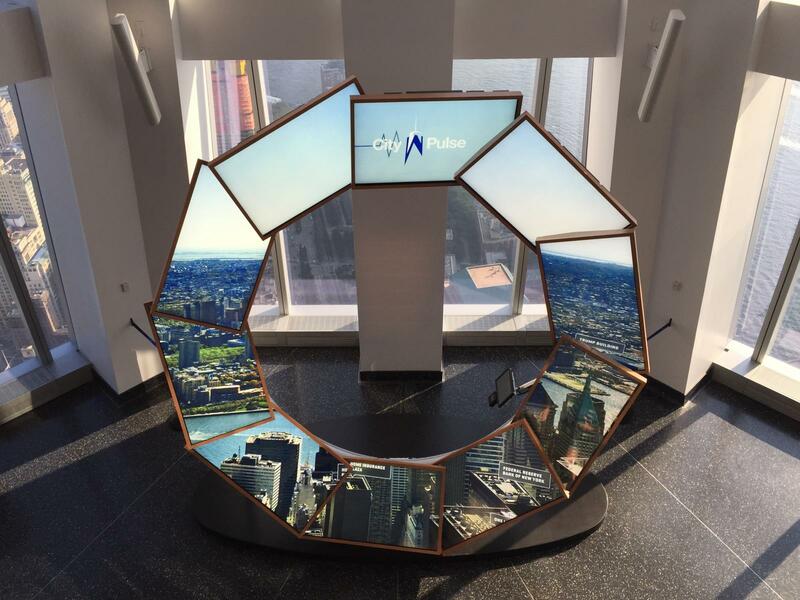 For those of you who do not suffer from vertigo, I highly recommend you to step onto the Sky-Portal, a 4-meter wide disk in the center of the observation platform with live shots of the street below. 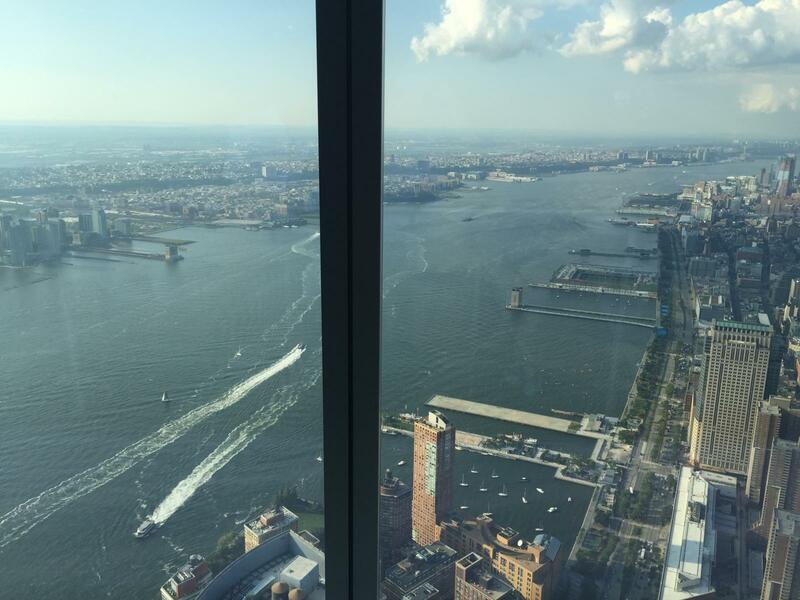 The observation platform of One World Observatory is expansive and spacious. Visitors have lots of room to enjoy the views, and even when things fill up, you never feel crowded. Throughout my visit I felt as though everything was well organized and went smoothly. Also very interesting was the City Pulse show: locals give visitors their perspective of New York. The ambassadors, as they call themselves, are standing in a big ring of monitors that can be guided by their arm movements and show specific images. This installlation is called the skyline concierge. The result is a funny and interactive question and answer session about New York that reveals a lot of insider tips and facts about individual boroughs, restaurants, landmarks, and daily life in New York. It is very high-tech and definitely worth a try. One World Observatory has more than 40 hotspots that allow visitors to log on and get more information on your smartphone should you need it. Like many other attractions the One World Observatory has a gift store. At the GALLERY at ONE WORLD you can find everything from t-shirts, pens, cups, and postcards to stuffed animals, and jackets. I found the merchandise to be rather expensive – a cup alone was $15. After spending about 3 hours at the observatory (you are allowed to stay as long as you want) We took the elevator back down. Wow! I was not prepared for this: the way down is also a high-tech ride with perfectly choreographed visual effects – forward, backward, and spinning – right through Manhattan. One more round of goosebumps! 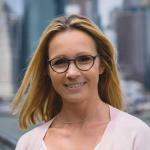 I can personally recommend the tour in Lower Manhattan that includes the Priority Tickets for One World Observatory if you are also interested in seeing the Statue of Liberty as well. 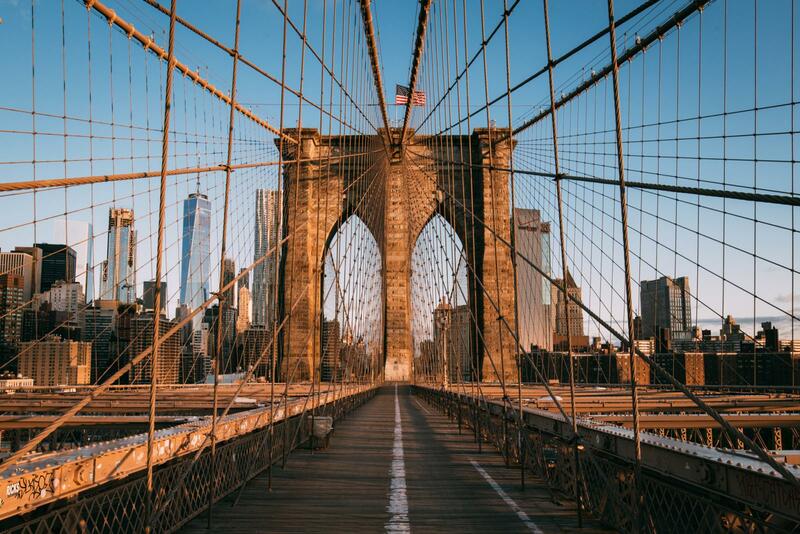 This is a brand new tour that combines all the best attractions of lower Manhattan. 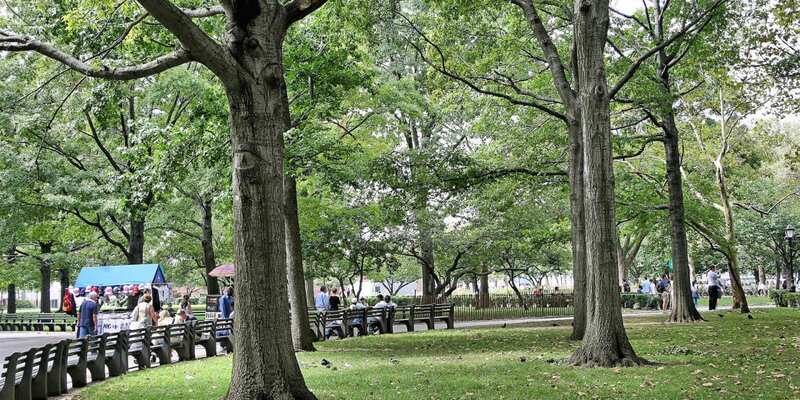 You start with a guide at Battery Park and then ride to the Statue of Liberty and Ellis Island. 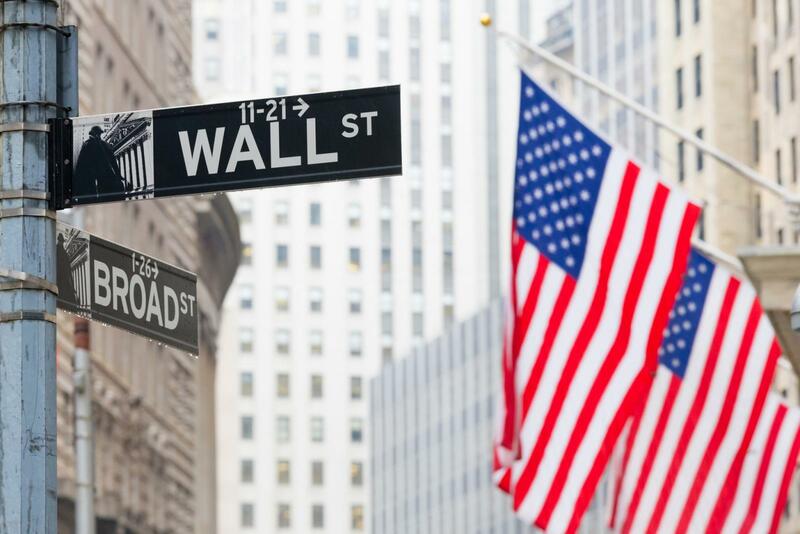 Your next stop is St. Paul’s Chapel and the 9/11 Memorial. 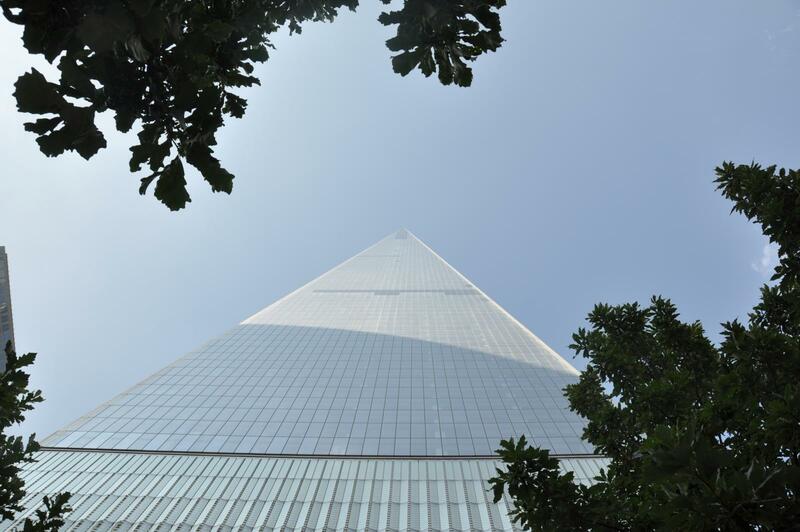 From there, you can head directly to One World Observatory at One World Trade Center (tickets included in the tour!). You can purchase tickets here and more information and details about the tour are provided here. I highly recommend you experience the adventure of visiting the One World Observatory in New York. The price is steep, but several features are included in your ticket. I was really surprised to learn how many attractions were included within the attraction itself. 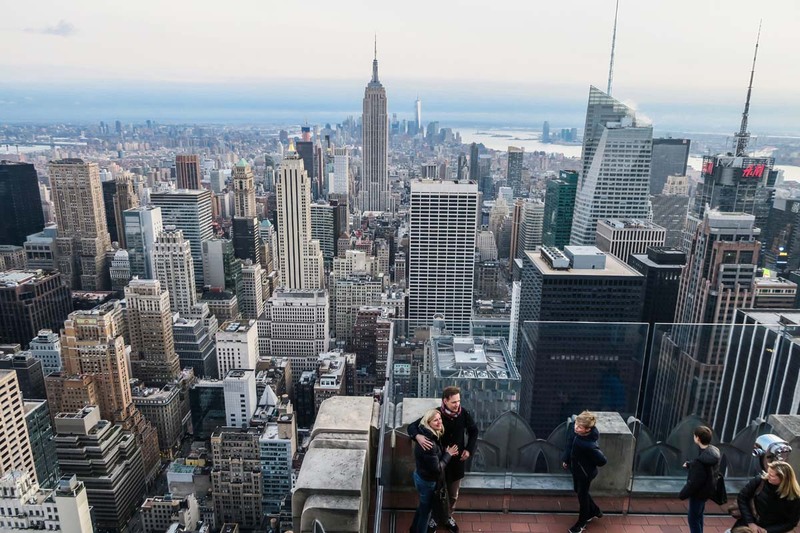 The Empire State Building and Rockefeller Center don’t just have new competition, in my opinion – the One World Observatory surpasses the quality of other famous observation decks. One disadvantage is that it is enclosed in glass, however at that height, it’s probably safer to be inside!